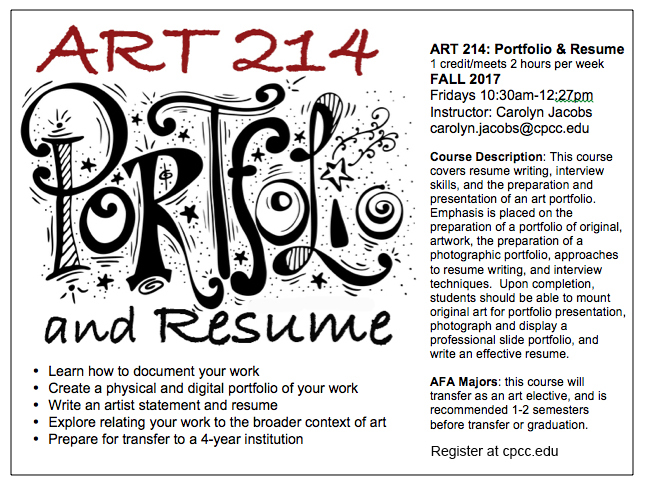 Students, ART 214-Portfolio & Resume is being offered this Fall. This 1 credit/2 hours per week course will meet on Fridays 10:30am-12:27pm, and will help prepare students for transfer. This entry was posted in advising, transfer info, Uncategorized by Carolyn Jacobs. Bookmark the permalink.